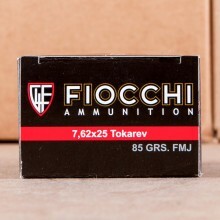 BULK 7.62x25MM TOKAREV AMMO SHIPS FOR FREE AT AMMOMAN! 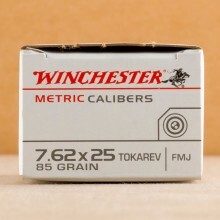 7.62x25mm Ammunition is a cat ridge with Soviet roots that was once used widely by Russia, Pakistan, China and other nations. 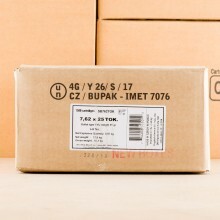 A pistol coverage with a pronounced bottle-neck design, 7.62 Tokarev rounds typically delivered muzzle velocities of around 1300 to 1800 feet per second.